The next generation of room service tables has gone beyond boundaries due to our innovation InductWarm® technology. 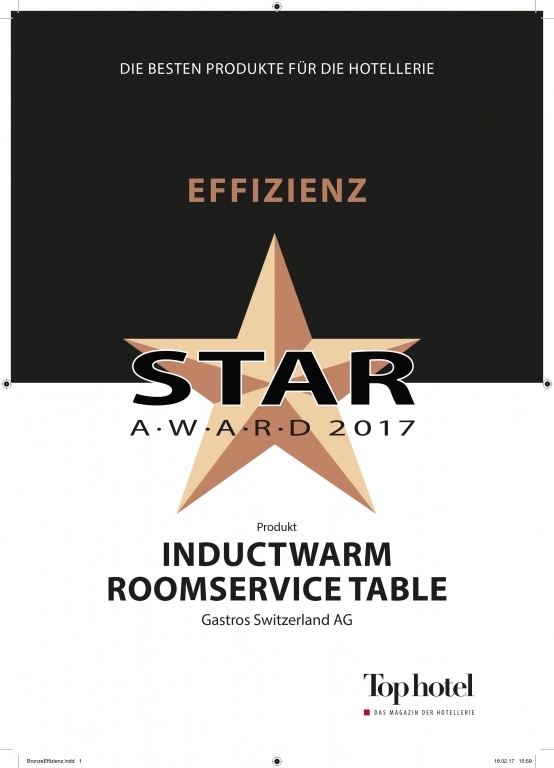 The InductWarm® Room Service Table is the first battery powered inductive serving table worldwide. Reliable and easily - without hotboxes - dishes can be served warm directly to the hotel room of the guest. Especially its elegance helps creating an exclusive ambiance in high class hotels. The integrated battery powered InductWarm® devices keep the plates warm in best quality, for 30 - 60 minutes. It turns off automatically after this time. The table‘s bi-fold leaves can be fold up to make it even easier to transport and to store the table. Our special offer is customised design of your InductWarm® Room Service Table. Create the design entirely according to your preferences and requirements. Make your InductWarm® system unique. Designed to complement the ambiance of your hotel rooms, or the design of your rooms, select the wood type of your InductWarm® Room Service Tables.